I really think that all women should first love themselves. When a woman improves her appearance, they will gain more confidence. As her confidence grows, so does the respect she receives – at work, at home, everywhere. As her insecurity falls away, she becomes more daring, self-assured, and courageous; she finds she can do anything. Her life improves in every way. I'm sure some of you might read my blog before regarding my acne story. I've suffered with acne for 3-4 years. There is a time i had terrible acne, inflammation, redness all over my face. Of course, i'm lucky enough to have it under controlled now. But still, It is something unforgettable for me. Therefore, I will remind myself to do whatever i can to protect my skin right now. Do you know that, the acne spot on different parts of our face actually represent something? FOREHEAD - Poor Bladder or digestive system. You may need to improve elimination of toxins by drinking more water. CHEEKS - Smoking or food allergies. You may also have broken capillaries and congestion. AROUND YOUR MOUTH - A sign of your health being run down. CHIN - Hormones imbalance by stress or pre-menstrual spots. MY SKIN, although it is recover from acne but still it is far from perfect. There is still so much more to work on. AND I'm not a girl who will settle for less. I'm constantly working hard to improve my skin in several ways. 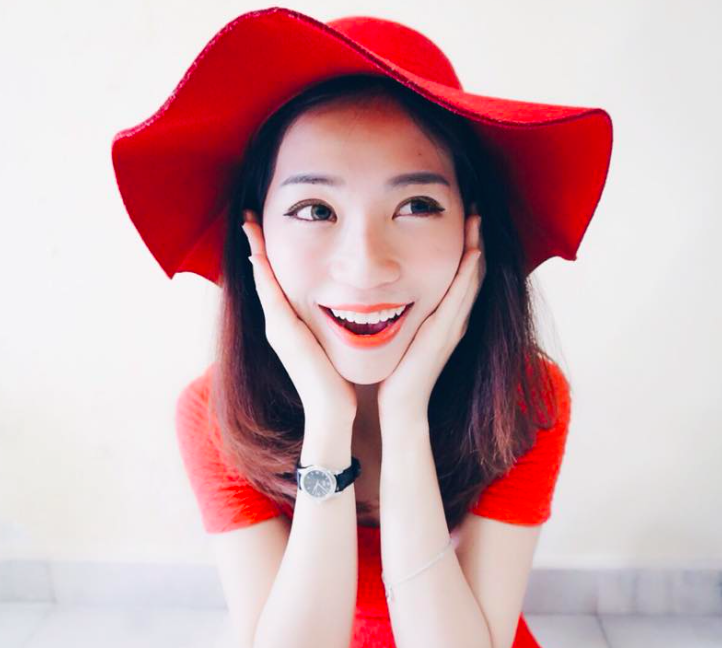 Do you girls know our body needs the right nutritional balance besides proper skin care? Believe it or not. Before this, i've totally no idea of how to beautify my skin others than applying suitable skin care products on it. Back then, i used to do a lot of exercise to maintain my metabolic rate because i always believe that, when you metabolic rate is high, your body will become healthier and of course your skin will become better. But after since i've started up my own business. I've got a pretty tight schedule everyday. So, i have lesser time to hit the gym and cook my own healthy food already. Therefore, i need something simple and fast to maintain a healthy lifestyles. This is one of my favourite. It is good for people who eat less vegetable in their meal. Good food substitute for the GREEEEEN! Especially for those who have a unbalance diet and unhealthy lifestyle, this is good for detoxify your body. Just consumed as part of your diet, Beauxlim Lemon Mix Fibre Complex increases your daily fibre intake, promotes the growth of beneficial intestinal bacteria, relieves constipation, detoxifies your body system and promotes optimum intestinal health and body function. It comes with small sachet packing, easily to bring around especially during travel! 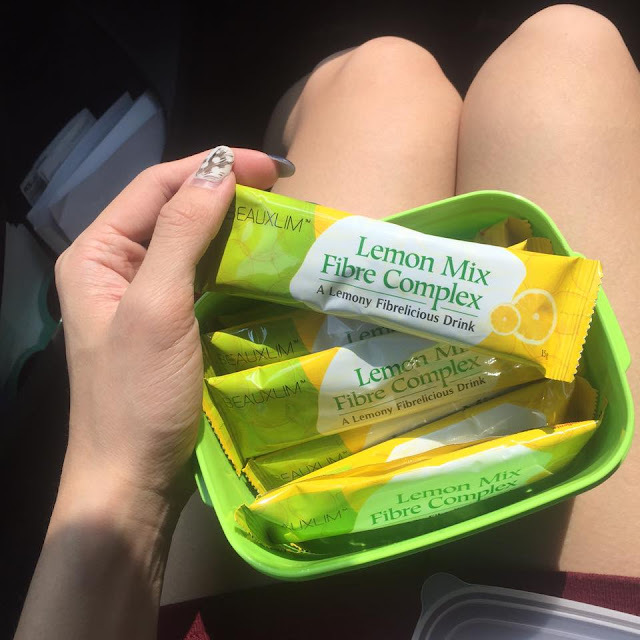 WHAT IS BEAUXLIM LEMON MIX FIBRE COMPLEX? Beauxlim Lemon Mix Fibre Complex is a fibre drink formulated to suit today's modern lifestyle. It helps to promote digestive system, relieve constipation, detoxify the body system and promote natural weight loss. Definitely something to add in to our diet! Those who lack fibre in their daily diet. Those who suffer from constipation. Those who are overweight or want to maintain an ideal body weight. Those who have an unhealthy lifestyle. Those who want better complexion. Want a better skin complexion? TRY THIS!! There are many benefits of collagen for skin, hair, nails, joints and more. Collagen drinks are certainly a-go-to health or beauty drink for ladies these days. Every year you will see new brands coming up with their version of Collagen drink promising smoother, firmer, radiant, for some fair glowing skin. Lennox is one of those many brands that i trusted. Especially for someone who desires to get noticeable improvement from their damaged skin to a firmer and bouncy looking skin. FirmUp+ is your ultimate choice of collagen drink. So this is another healthy nutritive drinks from BRANDS. It is fruits based. Generally suitable for everyone. Basically, it is made from California Prunes with added Camu Camu fruit. Camu Camu contains a rich source of Vitamin C. This is high in fibre and contains resistant maltodextrin, a soluble fibre that helps to regulate and promote regular bowel movement with no added preservatives. Nutrition Information Prune Juice Concentrate, Resistant Maltodextrin, Grape Juice Concentrate, Fructose, Camu Camu Juice concentrate, Vitamin C.
I really love how these health products bring convenience to my life. Don't forget to use <KARN5X> before 30 June 2016 to get RM5 OFF purchase of RM50 Health Products at Watsons Online off! I bought beuxslim and only manage to drink one sachet..the day after i got diarrhea...maybe not suitable for me. Dear Karen ! You are a amazing person. I like these types of human beings. Hi Karen! Can i consume Beauxlim Lemon Mix while on period?